How Much Is A Good Down Payment? Can More Light Really Sell A House Faster? Can Doing Feng Shui Really Help Sell Your House? Are Online Real Estate Apps Better Than A Local Realtor? Smartphones are in everyone’s purse, pocket and hands. They are everywhere. Along with the smartphone came the smartphone apps. With these you can message someone, play a game or even touch up a photo; the options are limitless. Smartphones can be a blessing and a curse. But, how do those smartphone apps hold up against a local realtor when looking to buy or sell? Do you really need a realtor now? 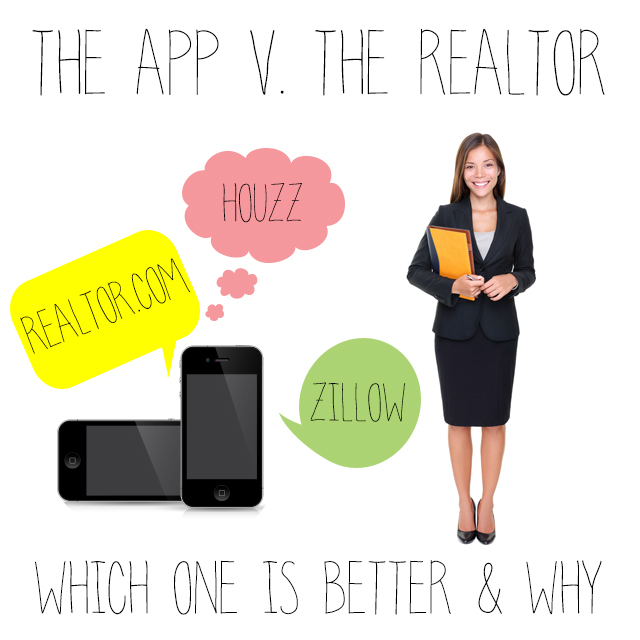 Let’s look it over and weigh out the pro’s and con’s of an app v. a local realtor. When you take into account that the real estate app cannot give you the personal touch a realtor can, you may consider having both of them at your disposal. How? Well, you can browse the real estate app as well as use a realtor. It’s the same way some people go shopping. They look for what they want, so they limit the time they spend out looking at houses they’re not interested in. The app can come in handy letting the person looking to buy or sell peruse the options and then telling the realtor what they did or didn’t like about the houses they saw. Some of the sites that are more popular are Zillow, Houzz, and Realtor. These sites can help you find the dream home you’re looking for. However, only a realtor can understand you on a more personal note. For more information on using one of our realtors, call us today!